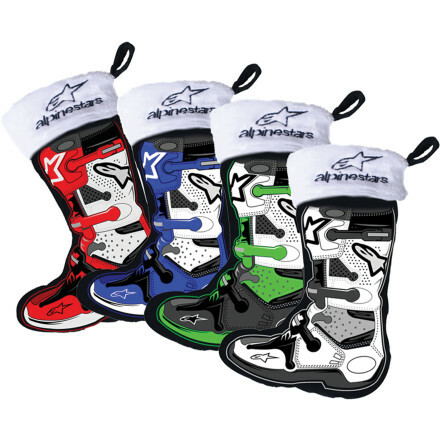 Limited Edition Alpinestars 4pack mini boot stocking ornaments are the perfect addition to your Christmas tree this Holiday. The ornaments measure approximately 6" in size. Made of super soft felt and feature printed graphics and embroidered logos. So make this a MOTO CHRISTMAS and make this your best tree ever!